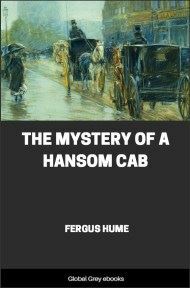 The Mystery of a Hansom Cab is a mystery fiction novel by Australian writer Fergus Hume. 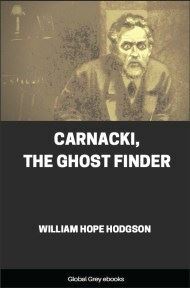 The book takes place in Melbourne, Australia and involves an investigation into a homicide, after a corpse is discovered in the evening, in a hansom cab. 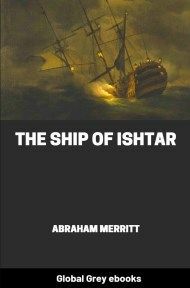 Vintage Mystery and Detective Stories characterized the book as "the best-selling detective novel of the nineteenth century". 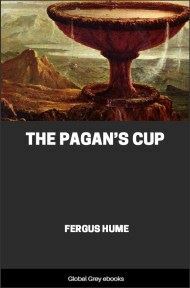 “Royston then asked him if the drunken man was his friend, but this the other denied, saying that he had just picked him up from the footpath, and did not know him from Adam. At this moment the deceased turned his face up to the light of the lamp under which both were standing, and the other seemed to recognise him, for he recoiled a pace, letting the drunken man fall in a heap on the pavement, and gasping out ‘You?’ he turned on his heel, and walked rapidly away down Russell Street in the direction of Bourke Street. “Royston was staring after him, and wondering at his, strange conduct, when he was recalled to himself by the voice of the deceased, who had struggled to his feet, and was holding on to the lamp-post, swaying to and fro. ‘I wan’ g’ome,’ he said in a thick voice, ‘St. Kilda.’ He then tried to get into the cab, but was too drunk to do so, and finally sat down again on the pavement. Seeing this, Royston got down, and lifting him up, helped him into the cab with some considerable difficulty. The deceased fell back into the cab, and seemed to drop off to sleep; so, after closing the door, Royston turned to remount his driving-seat, when he found the gentleman in the light coat whom he had seen holding up the deceased, close to his elbow. 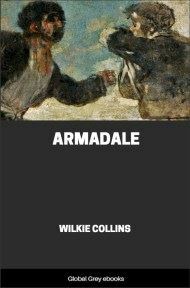 Royston said, ‘Oh, you’ve come back,’ and the other answered, ‘Yes, I’ve changed my mind, and will see him home.’ As he said this he opened the door of the cab, stepped in beside the deceased, and told Royston to drive down to St. Kilda. Royston, who was glad that the friend of the deceased had come to look after him, drove as he had been directed, but near the Church of England Grammar School, on the St. Kilda Road, the gentleman in the light coat called out to him to stop. He did so, and the gentleman got out of the cab, closing the door after him. “‘What street, sir?’ asked Royston. “‘Grey Street, I fancy,’ said the other, ‘but my friend will direct you when you get to the Junction.’ “‘Ain’t he too much on, sir?’ said Royston, dubiously.